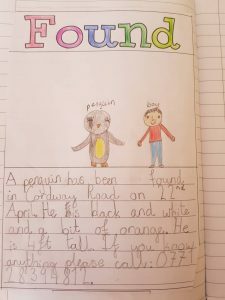 St Scholastica's Catholic Primary School | Do You Know This Penguin? Do You Know This Penguin? 07 May Do You Know This Penguin? Year 2 have been reading ‘Lost and Found’ by Oliver Jeffers. We imagined we were the boy who had found him and created ‘Found’ posters. 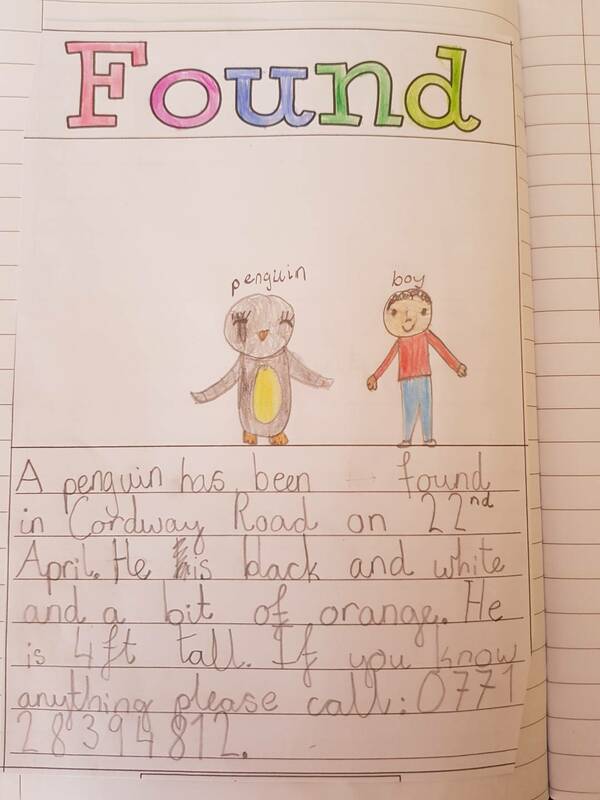 It was lots of fun creating them and using adjectives to describe the penguin.